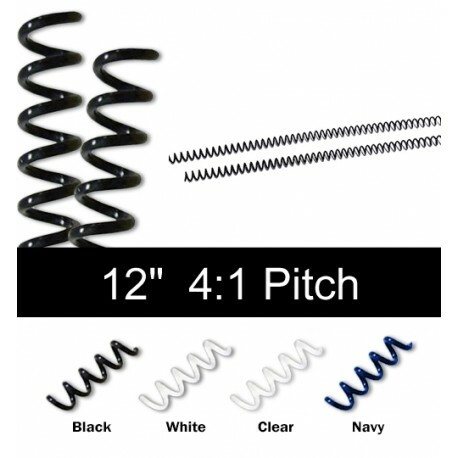 Binding Coil Color: White (Also available in black, clear and navy). Binding Coil Sizes: Ranging from 6MM to 32MM, holding 30 to 280 sheets of paper. 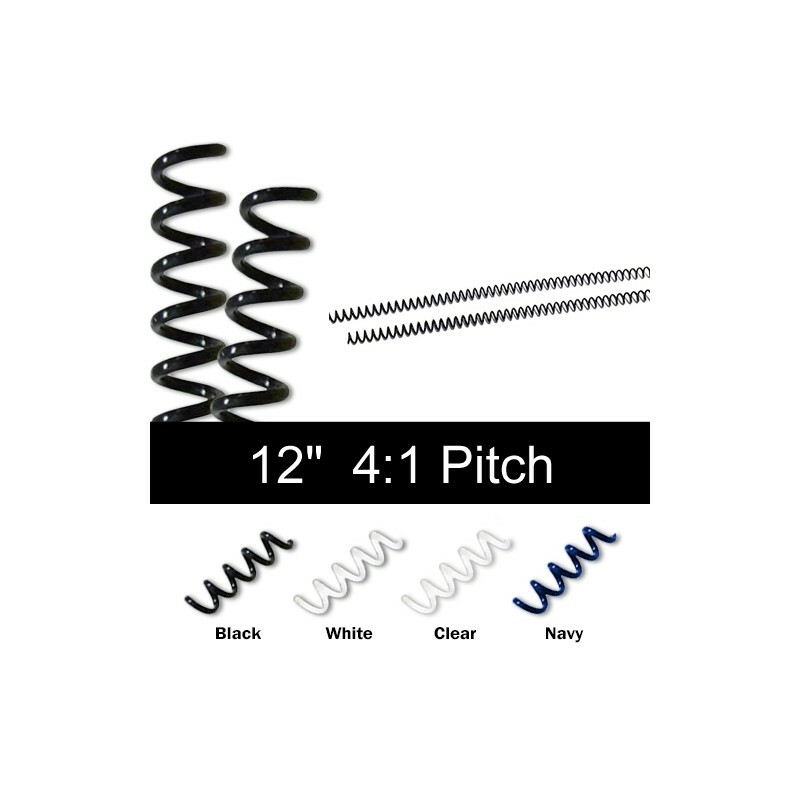 These rugged 12" PVC Plastic coils have a 4:1 pitch (spirals through 4 round holes per inch) and glides easily through documents using a coil binding machine. Using coils to bind documents gives the elegant look of spiral notebook. Pages can turn a full 360 degrees and with the multi-hole format, and can lay flat while open. Bound documents are extra strong and durable. Crimp the ends for a semi-tamperproof bound document. Coil Sizes: 6MM - 32MM. Quantity Binding Coils: Each box contains 100 coils.